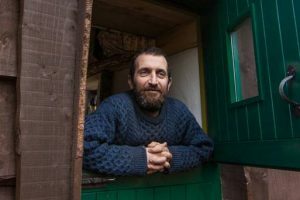 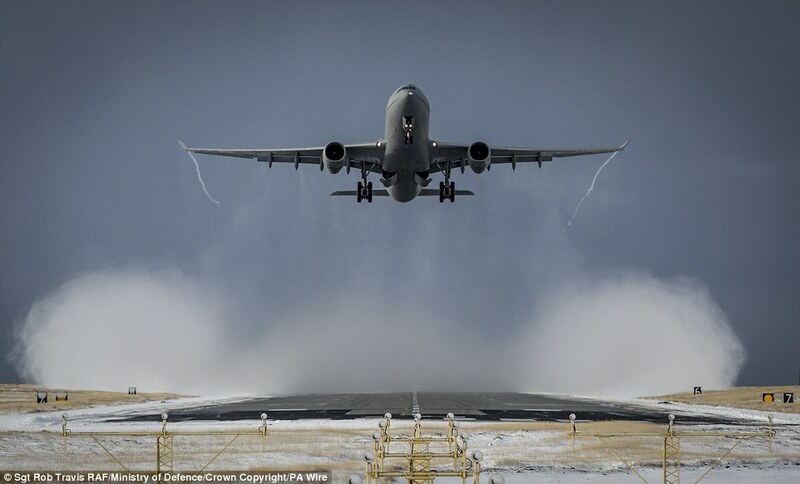 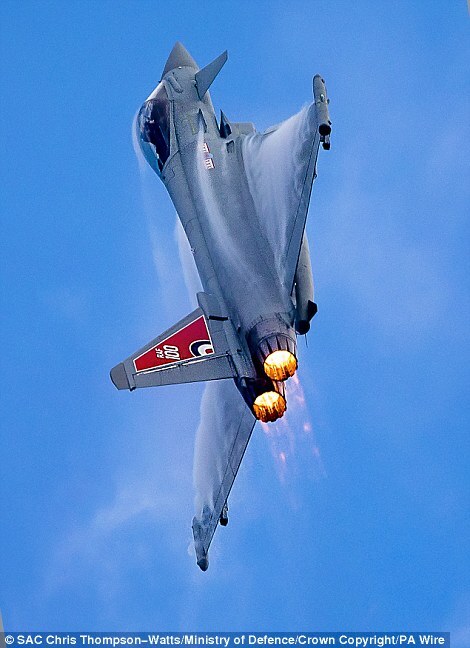 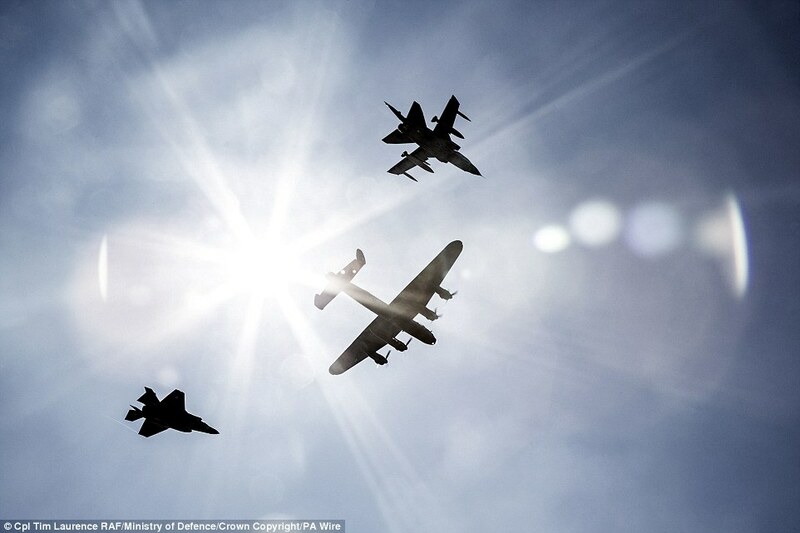 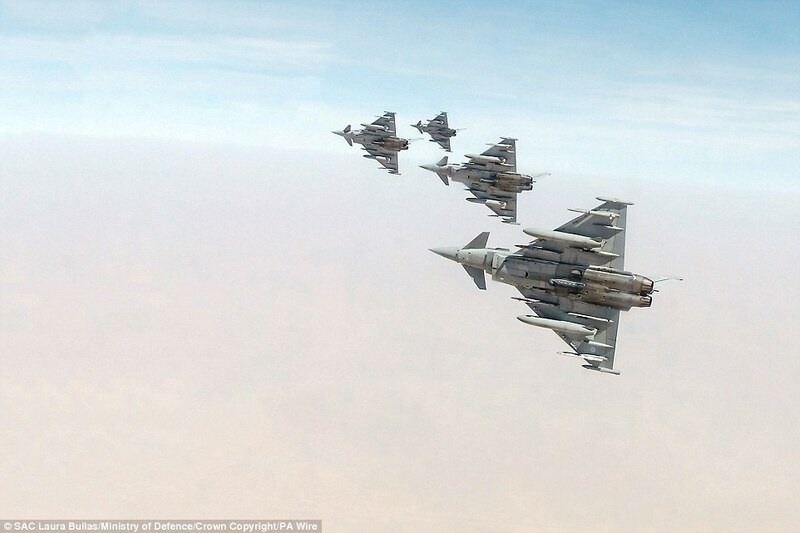 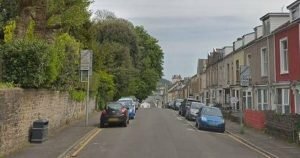 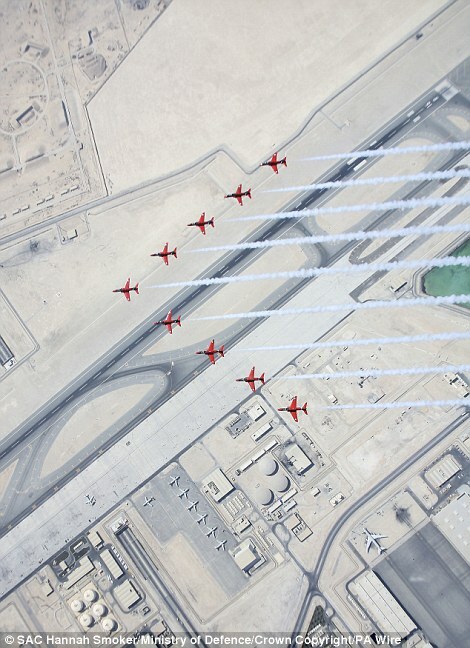 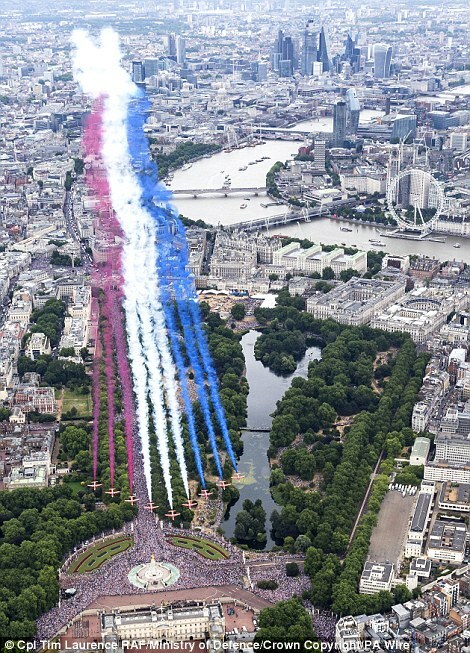 From Typhoons soaring over the snowy mountains of the Falkland Islands to the Red Arrows flying over Buckingham Palace, they are photographs that stiffen the sinews. 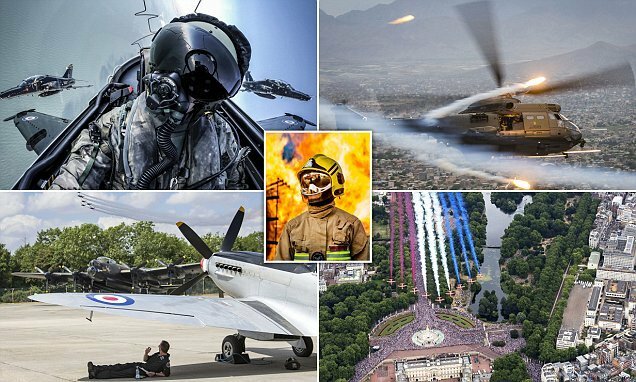 And these stunning images represent the best of more than 1,000 pictures and 25 videos entered into this year’s RAF Photographic Competition, a contest which has now run for nearly three decades. 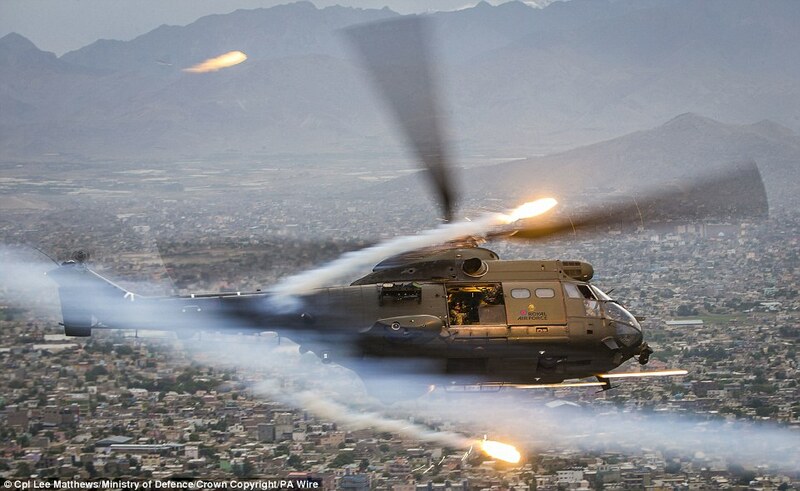 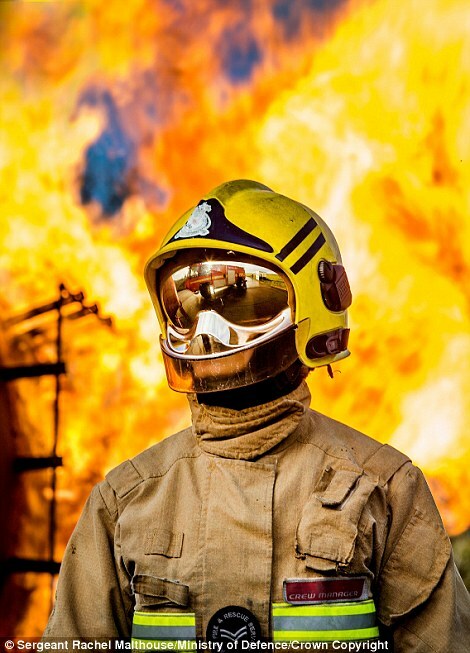 Other impressive photographs include a firefighter involved in fire training at RAF Benson in Oxfordshire, and an RAF Puma HC2 flying over Kabul in Afghanistan as part of a sortie in support of Operation Toral. 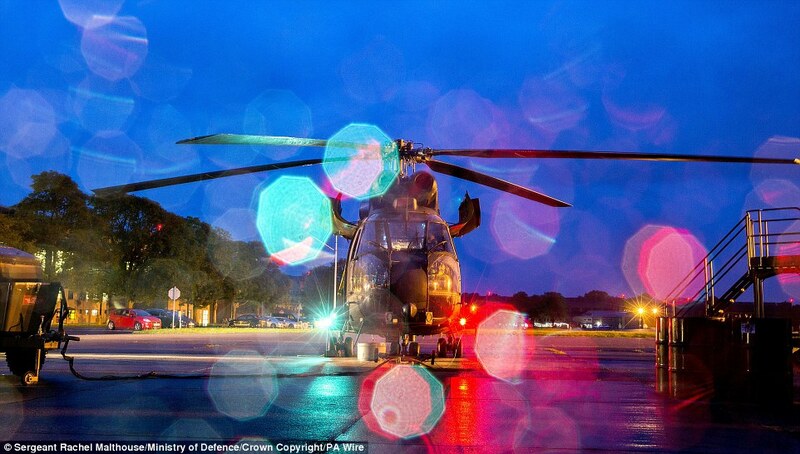 Also entered into the competition was a shot of an RAF Airbus A400M Atlas taking part in the Royal International Air Tattoo, and an RAF Typhoon taxiing to the threshold at RAF Akrotiri in Cyprus. 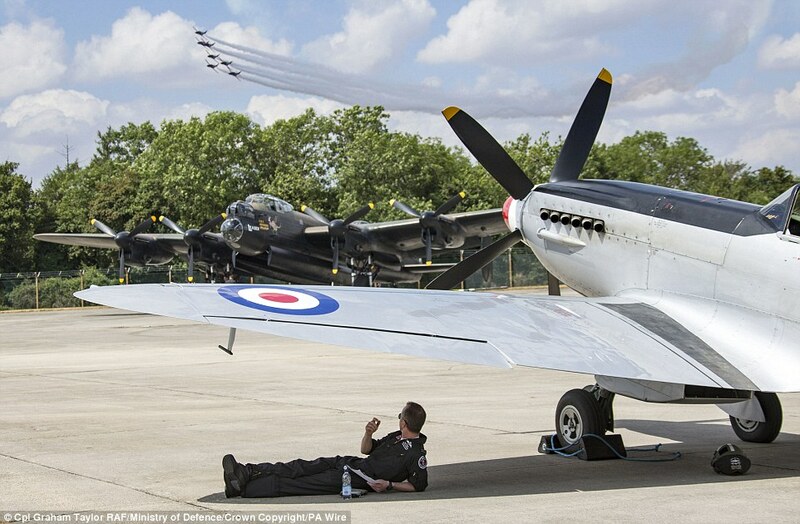 Another amazing picture showed a Battle of Britain Memorial Flight fighter pilot sheltering from the sun at RAF Fairford in Gloucestershire under his Spitfire while an aerobatic display team banked in formation overhead. 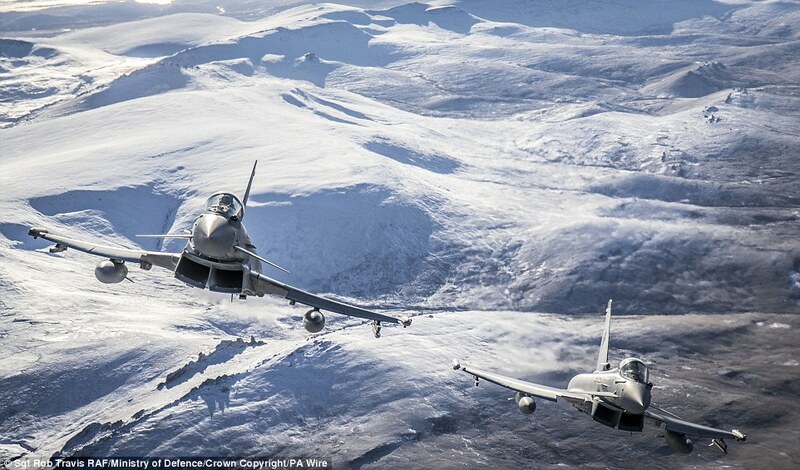 But the top prize went to Sergeant Rob Travis for his stunning portfolio of Typhoons and Voyagers taken in the Falkland Islands, which won first place in the RAF Photographer of the Year section. 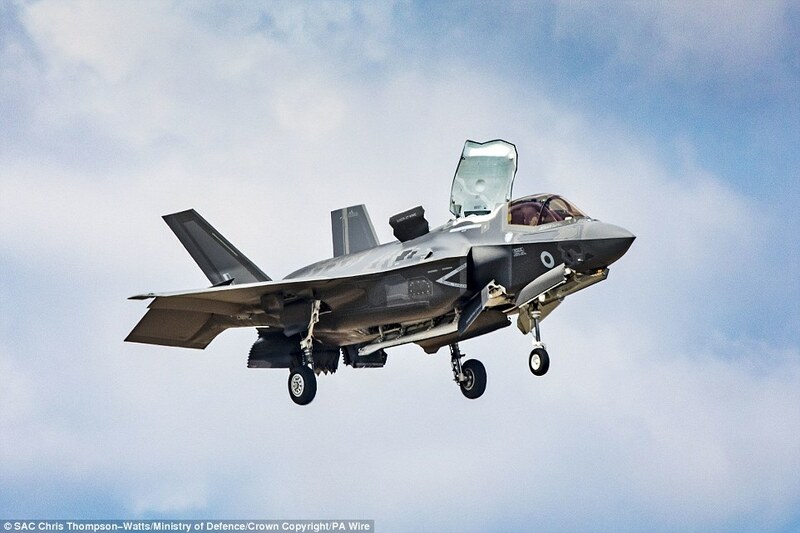 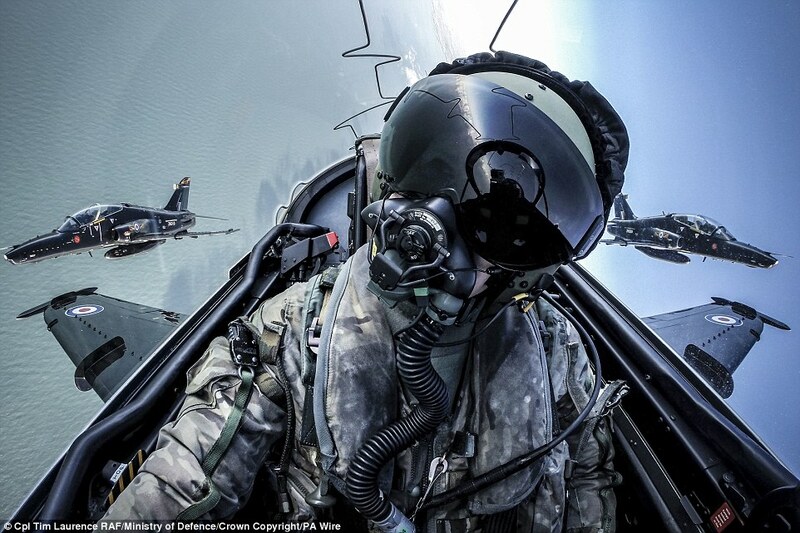 The competition, which also features a corporal’s ‘Selfie’ taken during a routine training sortie over Anglesey in North Wales, is intended to showcase the RAF’s work and the skills of its service and civilian photographers.